Sid Aldridge is active in representing his business clients in assessing, planning and addressing their legal issues. He is involved from entity formation, financing needs, operational issues, business acquisitions and sales, contract drafting and, very importantly, assisting clients with legal disputes that arise in operation of their businesses. This often includes dealing with government agencies. In representing his business clients he has become an experienced commercial litigator, litigating contract matters, shareholder and partner disputes, covenants not to compete and collections of accounts, to mention a few. Sid has significant experience in real property dispute cases, such as boundary line, title questions, ownership issues, title insurance and lease disputes. In addition he has experience in representing clients in litigation matters in bankruptcy court and remains conversant in bankruptcy law issues, having served as chair of the Bankruptcy Law Section of the North Carolina Bar Association. Sid is licensed to practice in all North Carolina Federal and State courts as well as the Fourth Circuit Court of Appeals and the United States Supreme Court. 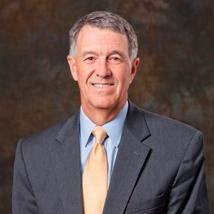 He is a certified NC Superior Court Mediator and has served as an arbitrator in numerous matters. Sid feels that it is his responsibility to give back to the legal profession and his community. He has served as President of the Wake County and 10th Judicial District bars, Chairman of the Board of Directors of the Wake County Bar Association, Chair of the Bankruptcy and Law Practice Management sections and the Membership Services Committee of the North Carolina Bar Association. In his community his involvement includes a member of the City of Raleigh Art Commission, President of the Raleigh Little Theater and member of the Board of Directors of the Educational Foundation of the University of North Carolina. For many years Sid has been AV rated by his peers in Lexis Nexis Martindale Hubbell. This is the highest rating given for legal ability and ethical standards.